Bonjour and Bisous to Montrachet's Boulangerie! Say a little au revoir to your waistlines, your top brekky spots, and any extra cashflow you’ve got coming in – we’re about to put a serious spanner in the works. 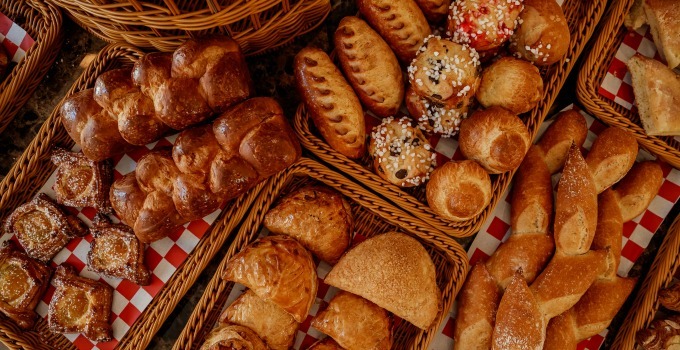 The Parisian-inspired bakery opens this Saturday, and we hope you’re bready. We’ll admit, we’re generally too busy hating the world at 6.30am to get much else done, but with doors opening on freshly-baked eclairs, flaky croissants, and hot-from-the-oven duck sausage rolls, it’s official: we’re morning people now. Acclaimed Lyonnaise baker Patrick Delbar travelled from France to bestow his wisdom to Montrachet’s pastry chef Tara Bain, while flour and chocolate is specially imported from France’s best sources. Aka, this is le real deal. The boulangerie will open Tuesdays to Fridays from 6.30am – 2.30pm, and Saturdays from 6.30am ‘til midday. We’ll ask you not to judge us for the Eiffel Tower-sized haul of fresh baguettes, chocolate tarts, and brisket pies you’ll see us carting down King Street. You’ll find Montrachet’s boulangerie at 1/30 King Street, Bowen Hills.